Hugo A. Rivera is a University of South Florida graduate with a Bachelor of Science in Engineering. Hugo also holds a Trainer and Specialist in Nutrition Certifications from the International Sports Sciences Association (ISSA). He was born on December 5, 1974 in Bayamon, Puerto Rico. As an overweight child he experienced at an early age the feelings of insecurity that come along with obesity as well as the scorn and ridicule from the people around him. After going anorexic at the age of 13 and losing a total of 70 pounds in less than a year, he was taken to a nutritionist by his concerned parents in an effort to stop the anorexic cycle. This nutritionist mentioned one thing that would change Hugo’s outlook on dieting forever: “Eating food will not make you fat; only abusing the quantities of the bad foods will.” After listening to that statement, Hugo decided to kick the anorexic habit and to dedicate his life to studying the effects of foods on the human physiology. 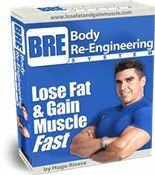 Discovering early on that there wasn’t much realistic or practical bodybuilding or fitness advice, he went on to start recording what worked and what didn’t for him. After much trial and error, he started finding principles that he noticed worked on any healthy human being. The best part of it all was his discovery on the fact that there was no necessity to stay all day at the gym in order to get results! Upset at the fact that not many people in the industry cared about trainees actually reaching their goals, he decided to create a web site and start conducting personal training during his college years in an effort to spread all of the knowledge that he had acquired. Eighteen years later Hugo holds a Statewide Natural Bodybuilding Title (Mr. Typhoon Bay) and also a 4th Place in the Nationwide NPC Team Universe (the natural bodybuilder’s highest and most competitive contest). Hugo is now considered an expert in the industry and he has dedicated much of his time to helping normal people achieve their dream figures by sharing sensible and practical knowledge that he has found over the years to work even on the most stubborn metabolisms. 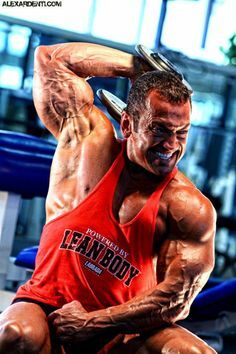 In addition, holding for many years a steady hectic engineering job in addition to his successful online and personal training business enables him to offer practical advice that people who live a hectic lifestyle can follow. Hugo has shared his knowledge through his web site www.hugorivera.net, various TV, radio interviews and speaking engagements, as well as on several articles published in numerous magazines and web sites all over the world. 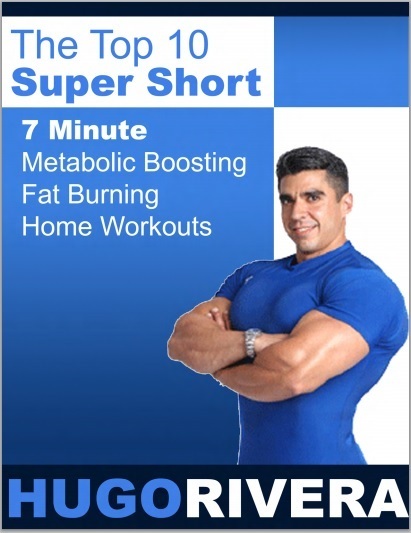 In 2001 he commercially published through Hatherleigh Press two books targeted towards the weight loss community called The Body Sculpting Bible for Men and The Body Sculpting Bible for Women (featuring the 14 Day Body Sculpting Program). Hugo wrote these books in conjunction with James Villepigue, an authority in exercise form and the connection between the mind and the muscle. In these books, both authors apply the periodization principles used by pro athletes to workouts geared for people whose main goal is to lose weight and firm up. 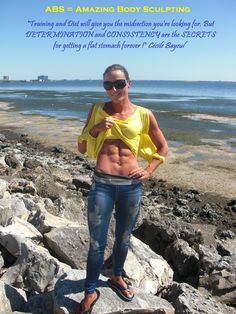 Both books soon became best sellers and now there are over 8 book extensions on that franchise with the latest re-release of the originals in December 2006 that even includes an exercise and nutrition DVD. Hugo was selected amongst thousands of applicants from all over the world to become the new Bodybuilding.About.com Guide, an About.com web site owned by the New York Times Company whose goal is to help beginners start a safe and healthy weight-lifting program, choose the right gear for their needs, and offer motivation to help users meet their personal goals. Hugo has co-authored nutrition and training programs along with actress, fitness icon and six time Ms. Olympia Cory Everson. 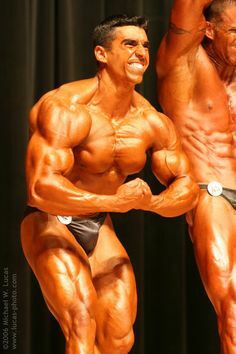 He has also served as consultant to High Schools helping to put together bodybuilding shows and educating the students on the several aspects of bodybuilding competition and the dangers of steroids. Hugo has served also as consultant to nutrition companies in designing nutritional formulas and helping to market their products. 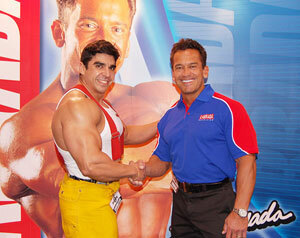 Hugo is most excited to have joined forces with his good friend, and longtime bodybuilding idol, Lee Labrada. Hugo is proud to be part of the Labrada Nutrition family, as they not only produce top quality products but they also share Hugo’s vision of first and foremost educating the consumer on how to accomplish their fitness goals. 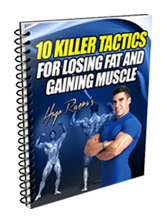 Hugo has made several appearances on both national and local television and has been extensively interviewed by various newspapers, magazines and radio stations all over the nation, in addition to providing numerous seminars on training and nutrition at health clubs and nutrition stores. Video 1 is an “on the couch” interview With Tim Wilkins and Michelle Philips of Studio 10. 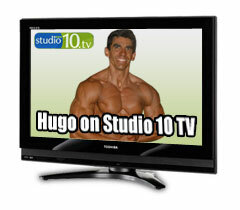 Video 2 shows Hugo offering an instructional “at home” workout with Studio 10 presenters. Hugo’s articles have been published in the following magazines.